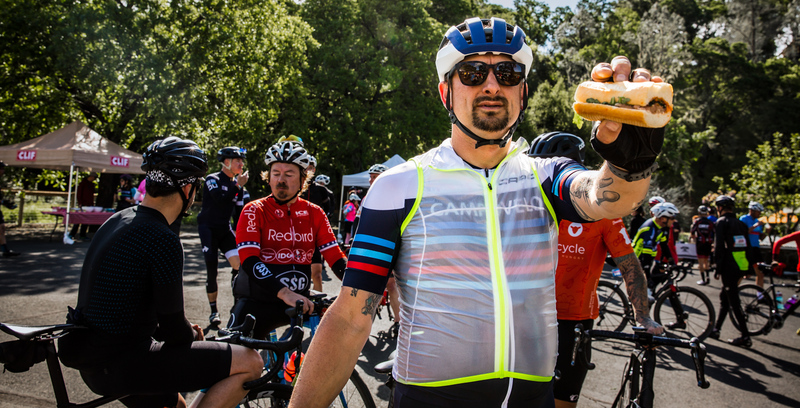 Fueling stations aren’t typically the most memorable part of a bike ride, but at CampoVelo, we try to turn our stations into their own little special events. Each stop is located on a beautiful Napa vineyard with scenic views in every direction. They feature gourmet snacks, thoughtfully created by our guest chefs, and a full assortment of fuel by CLIF. Add in your favorite cold hydration, live music and cycling friends and you’ve got yourself a real party. For 2019, we’ve got a great line-up of stops and menus from our chefs. Check ’em out. Here’s a video from last year’s CampoVelo of Jealous Zelig performing their song “Your Sweet Smile” at the Grove 45 rest stop.